The Lifestyle Weight Management program is an integrated approach that combines smarter eating, healthy habits, exercise and a supportive environment. It is a program based on the latest nutritional science, and factors-in the way your body actually processes food and how you mind deals with lifestyle change. In this program you will learn simple techniques that you can use for a lifetime rather than for just a few weeks. There are no expensive prepackaged meals to buy, no points to count or apps to download, no concern over the right balance of carbs, proteins, or fats, and no special pills or hormone injections. Instead, this program helps you learn a more correct and responsible way to approach weight loss, physical activity, and mental and emotional changes needed for long-term success. It is possible to lose weight safely and effectively and to keep the weight off for a lifetime. Lasting weight loss is not an easy process. It requires a commitment to permanent lifestyle change; to eating differently than you likely do now; to thinking differently than you do now; to becoming active; to taking responsibility for your own health & well-being. If you are ready to get off the diet yo-yo and commit to a new way of life, a life filled with hope, health, energy, and eating food that is both good and good for you, this program may be for you! THE LIFESTYLE WEIGHT MANAGEMENT PROGRAM CONSISTS OF THREE PHASES. This is the most intense phase of the program. It is during this first 12-weeks that you will experience the greatest amount of learning and change. During this time you’ll learn a great deal about yourself, about weight management, about lifestyle change, and about healthy sustainable eating. This is the time period you will likely find the most challenging as old unhealthy habits are replaced by new healthy habits. When you’ll work hardest to deal with cravings for the things you used to eat. When thought processes that previously sabotaged your attempts at weight loss are replaced with new ways of thinking about food, stress, environment, and self-control. It is also during this period that you will be most thankful for the various support systems built into the program. During these supportive meetings the group will discuss what’s working and were individuals are struggling. Ideas will be generated to further enhance your success and to find solutions to individual problems. Each meeting will also include a leader discussion on weight management topics followed by group discussion of how to implement these new concepts into each participant’s lifestyle. You’ll talk about everything from the psychology eating, to physiology of eating to issues concerning meal planning, snacking, and lots of great tips and suggestions. Weekly individual 30-minute coaching session. These private and confidential individual coaching sessions are your opportunity to discuss you goals, how to implement weight management into your life, and other issues that you feel are important to your success. These invaluable video lectures provide you with a basic but vital understanding of nutrition. Additional topics may include food science, how food is marketed, how and why we make the eating and food choices we do, the relationship between proper eating and disease, exercise and many other topics. Weekly tips/updates email to entire group. These emails will feature the latest information from the world of nutrition-related science and new discoveries that may affect your success. Occasional short tips/reminders text message. By their very nature, these short messages will focus on simple things you can do every day to make your efforts more worthwhile. During this time, the group is encouraged to meet by text, chat, phone, or live video whenever they feel appropriate. Support buddies can also meet as needed to provide encouragement and support and to share ideas and concerns. By this point you are well on you’re way to reaching your goal. You have learned the techniques and a good deal of the science relating to nutrition. You have gained a better understanding of how you body responds to food and activity. You have also learned much about the mental and emotion side of eating that may have previously been a mystery. 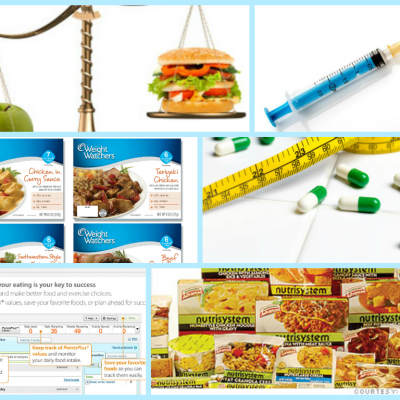 Now it’s time to refine you knowledge and your weight management skills. Twice monthly individual 30-minute coaching session held during the weeks between the group meetings. Video or email lectures as appropriate to update you on new and important information. During this time, the group is encouraged to meet by text, chat, phone, or live video on a weekly basis. Support buddies should also meet at least weekly if not more frequently to provide encouragement and support and to share ideas and concerns. By this point you have made significant progress toward you goal. You are now far more comfortable with your new healthy lifestyle. The way you eat, the way and amount of physical activity you include in your daily life are becoming second nature. Weight management—not dieting—is becoming a natural part of your life. By now you are noticing a new level of energy. You feel healthier than you have in years. Your clothes fit differently. People comment on the positive changes in the way you look and the way you act. Your success is beginning to shine through. Phase III is all about refining and honing your skills at living a healthier lifestyle. This phase is concerned with supporting your continued success. During this time, the group is highly encouraged to meet by text, chat, phone, or live video on a weekly basis. Support buddies should also meet at least weekly if not more frequently to provide encouragement and support and to share ideas and concerns. Remember, the support of a group of like-minded individuals can be key to success of every member reaching her or his goals. Option individual coaching is available in packages of four, eight, and twelve 30-minute sessions at a greatly reduced cost. These once per week sessions generally focus on helping you reach your goals most in the most effect way possible and resolving any individual problems that may arise. While it is highly suggested that you continue individual coaching during this last part of the program, it is entire up to you as to whether you want to take advantage of this high level of support. So how does the LSWM program stack up against all the others on the mareket? I’ll answer that question by referring to the recommendations the Mayo Clinic suggest be part of every weight-loss or weight-management program. The Mayo Clinic states that successful weight loss requires a long-term commitment to making healthy changes in your eating and exercise habits. Therefore, look for a plan with these features: Flexible, Balanced, Enjoyable, and Active. Flexible. Mayo says: Look for a plan that doesn’t forbid certain foods or food groups but instead includes a variety of foods from all the major food groups. A healthy diet includes vegetables and fruits, whole grains, low-fat dairy products, lean protein sources, and nuts and seeds — and even an occasional sweet indulgence. A diet plan should also feature foods that you can easily find in your local grocery store. The LSWM Program does not forbid certain foods or food groups. The program is based on the full spectrum of vegetables and fruits, whole grains, low-fat dairy products, lean protein sources, and nuts and seeds — and even an occasional sweet indulgence. All the foods featured in this program are readily available at your local grocery store. Balanced. Mayo recommends that a weight-loss plan should include proper amounts of nutrients and calories for your individual situation. Diets that direct you to eat large quantities of certain foods, such as grapefruit or meat, that drastically cut calories, or that eliminate entire food groups, such as carbohydrates, may result in nutritional problems. Safe diets do not require excessive vitamins or supplements. The LSWM Program includes balanced amounts of nutrients and calories from all food groups — protein, carbohydrates, and healthy fats. No food group is eliminated, restricted, or over emphasized. Enjoyable. According to Mayo, a diet should include foods you like and that you would enjoy eating for the rest of your life — not just for several weeks or months. If you don’t like the diet, if it’s overly restrictive or if it becomes boring, you’re probably not going to stick to it and therefore won’t lose weight in the long term. The LSWM Program is based upon the Mediterranean style of eating — one of the healthiest ways of eating on the planet. The original Mediterranean way of eating included a wide variety of the tastiest and most nutritious vegetables and fruits, whole grains, low-fat dairy products, lean protein sources, and nuts and seeds with options to satisfy any palate. Recipes are varied, easy to prepare, and extremely tasty. With the wide assortment of Mediterranean style cookbooks on the market you may never run out of enjoyable menu options. Even eating out is easy with this program. Active. Mayo states that every weight-loss program should include physical activity. Exercise plus calorie restriction can help give your weight loss a boost. Exercise also offers numerous health benefits, including improving your mood, strengthening your cardiovascular system and reducing your blood pressure. And exercise is the most important factor in maintaining weight loss. Studies show that people who maintain their weight loss over the long term get regular physical activity. From day-1, the LSWM Program includes physical activity as a regular and important part of the plan. Exercise starts with a easy, structured walking program and progresses to more vigorous and higher calorie burning techniques, as you are ready. 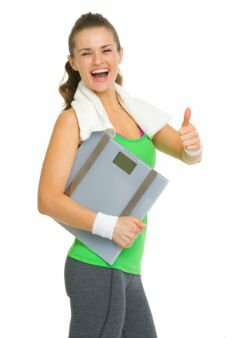 The goal here is not to become a champion body builder, but rather to understand the importance of life-long physical activity as an adjunct to weight-management and a key component in maintaining a healthy lifestyle. Successful weight loss requires permanent changes to your eating habits and physical activity. This means you need to find a weight-loss approach that you can embrace for life. As you can see, the LSWM Program includes all the key components of a healthy and sustainable weight management program as outlined by the Mayo Clinics recommendations. Weight loss: Choosing a diet that’s right for you – Mayo Clinic. For more information or to see if the Lifestyle Weight Management program is right for you, please contact us.